There is a reason why 97% of projects fail to meet either deadline, scope or budget. Successfully delivering complex projects is a difficult art to learn. It often takes years of failures before you manage to finally learn what is required to consistently deliver. Even then, there are always new, innovative ways of working which even experienced Project Managers can learn from and utilise. So imagine if you could short circuit this process of trial and error? 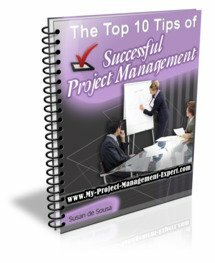 Imagine if you could bypass the numerous project management courses and textbooks? Imagine if you could quickly learn the practical techniques for successful project delivery and eliminate some of the the following problems. "I'm spending all my time doing paperwork and nothing is getting delivered on my project. Where am I going wrong?" "The scope of my project keeps changing. Despite working really long hours I dont seem to be making a difference. Perhaps I should move into something less stressful than Project Management?" That is where this site will help you. We are all successful experienced Programme and Senior Project Managers who have learned the hard way, the numerous tips and techniques which are actually required to successfully deliver projects. This knowledge is something which no amount of textbooks and courses will teach you. It is also the reason why experienced Project Managers are so much in demand globally from Employers. This is even more the case now due to the Credit Crunch. With Corporates needing to still deliver projects, but by utilising limited resources and a more constrained budget, there is a demand for those Project Managers who can think laterally, be creative and get the project delivered to the quality required. How to deliver impossible projects on time and budget and turbo charge your career. Why you need to concentrate all your time and energy on just 2 key phases of a project lifecycle. How to circumvent managing plans and getting bogged down in Project Management methodologies. What the Project Managment Office really want from you and how to get them to do most of the work for you. Why difficult Stakeholders can end up being your best ally and biggest cheerleader. Why fellow Project Managers at work may not be your friend. Why you have to know how to get the best out of offshore teams in order to have a future in this business. How to work in a matrix managed resource environment and ensure resources prioritise work on your project over others. Why making friends with PA's could mean the difference between the success and failure of your project. How to successfully communicate with senior stakeholders and get fast decisions. Since this site will be updated extremely frequently the best way to ensure you don't miss anything is to bookmark this site, or sign up for our RSS Feed and newsletter. With the tips and techniques we're going to be writing about, can you afford to miss out?